Results On Purpose was created to help entrepreneurs and their leadership teams imagine their future and then to make it true. It is the reason our company exists. I am dedicated to helping entrepreneurs and leadership teams get more profit, accountability, and fun out of their businesses using the Results On Purpose system for entrepreneurs integrated with CliftonStrengths. The system consists of time-tested principles and tools providing any business the foundation necessary to achieve greater revenue, profit, and greatness. More importantly, business owners and their leadership teams become great leaders, inspire loyalty and commitment from both their employees and their customers, and have a positive impact on the lives of their people and their community. Finally, owners reap the benefits and freedom that comes from operating a great company! Clients are from a variety of industries with leadership teams of three to eight people in cities across the United States including New York, Chicago, Denver, Los Angeles, San Diego, and Des Moines. Some are start-ups, but most are five or more years old doing $1M-$50M in annual revenue. Here is the Mindset that defines me. It is an abundant world. There is enough opportunity, talent, and resources out there for everyone to be wildly successful. Speak the truth. Everyone matters. Take responsibility. Nothing extraordinary is ever done without help. Always be happy, but never satisfied. If this resonates with you, we should have a conversation. 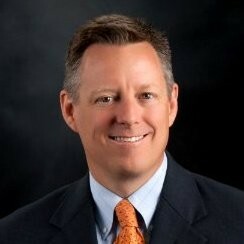 See my LInked In profile at https://www.linkedin.com/in/jeffgarrison for a full professional history. Personal HIghtlights I have been married for nearly 30 years to my wife Angela. We have five children. Since 2015, we have been living far outside the city on 72 acres where we raise grass fed Dexter beef and the kids are entrepreneuers in training managing their own egg business produced by free range chickens.